Discussion in 'Houseplants' started by purpleinopp, May 29, 2015. Thought my little trees were looking especially happy this morning, after a few afternoons in a row of rain. All of the winter dust is definitely gone now. There are 4 individuals in this pot, about 20 yrs old. 2ofus, Henry Johnson and vitrsna like this. Wow, thanks for sharing that. 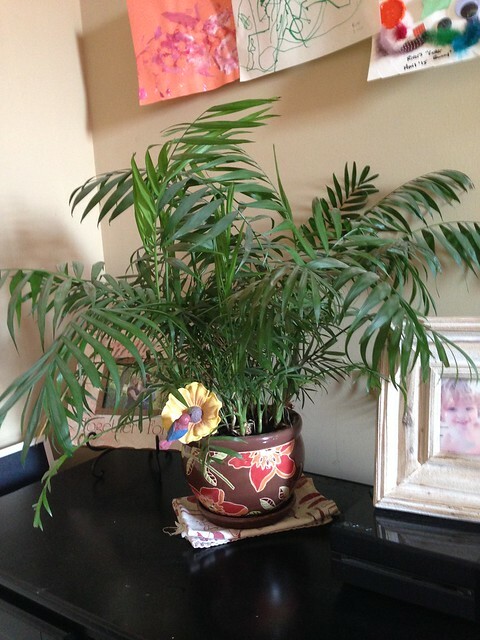 I have a parlour palm that I shift from my bedroom to the front balcony (for more sunlight). It's my only non-work 'pet' plant. I have other palms that spend time in my room but they are awaiting distribution for my tree business's marketing. Mine's smaller than all of yours but much younger, I'm guessing. It only complains when I forget to water it for two weeks. Thanks & thanks! These keep getting bigger, so IDK what the size limit is. Vitrsna, not all of the plants I've photographed are mine. Many are spotted "in the wild" on flower/plant-hunting excursions, but TY! Brisbane, I'd love to see your cute plant! Mine has been moved around central OH a few times, then to AL about 8 yrs ago. Seems they'll put up with about anything! Especially loves being outside under the big trees for summer though. Here's another pot with another pretty big one, and some more recently acquired babies. Henry Johnson and vitrsna like this. Oooh!! I think I have one of those! I'ver never known what its name is, but it looks just the same. It's gotten a lot bigger since I bought it as a tiny little thing. Stands about 2 feet now, and it's just big everywhere, really spread out. When yours puts out new shoots, does it start out as just a pointy stalk looking thing? And then the leaves slowly unfurl? I'd love to see it if you are able to share a pic! It doesn't look as big in this image as it actually is! And here's the stalky thing I was talking about, that your photo illustrates so well. It's already just begun to unfurl, so it doesn't look quite as sharp as it starts out. 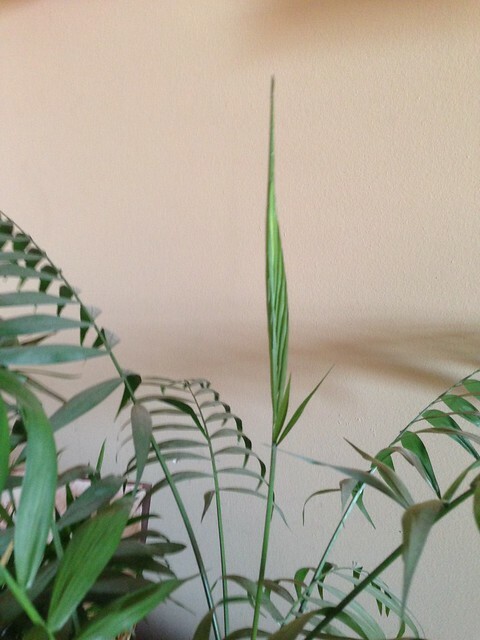 Yes, that does also look like a parlor palm making a happy new leaf! Cool! TY for sharing your lovely plant. :+) Keep up the great work! Love your kid art!! I wouldn't trade my kids' masterpieces for any Picasso or Rembrandt. One of my trees is making some seeds! So happy about that! Still waiting for those seeds to ripen. Wow they take a long time! Seed are finally starting to turn black, stalk is turning orange.